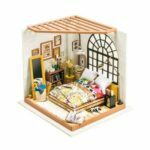 This CuteRoom DIY Sunshine Zakka Room Dollhouse Kit Photo Frame is so cute and beautiful! 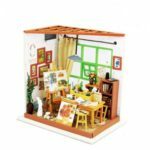 Creative birthday or Christmas gift, so romantic to send it to your friends, lover, family, kids. 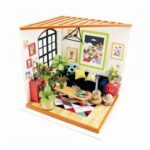 DIY sunshine Zakka room dollhouse, so cute and beautiful. 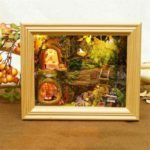 Creative birthday or Christmas gift, so romantic to send it to your friends, lover, family, kids, means more to make it by yourself! 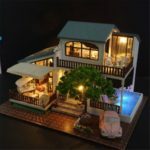 Enclosed the instructions, grinding, bonding, assembly, modelling, placement of it to finish your own house, easy to finish it following the instruction. Enjoy DIY, and enjoy your cozy and beautiful life. Function Decor, Collection, Gift, etc.